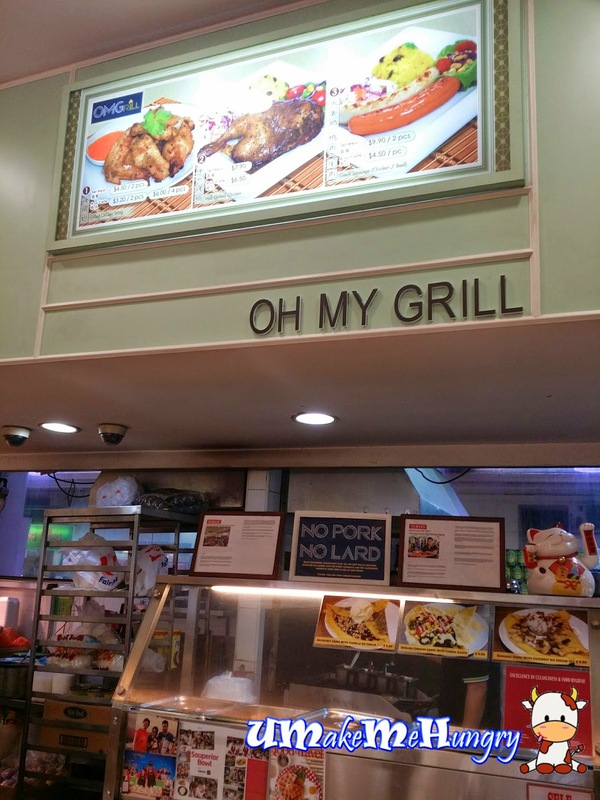 Oh My Grill has been opened recently in late March 2014 in Happy Hawkers. 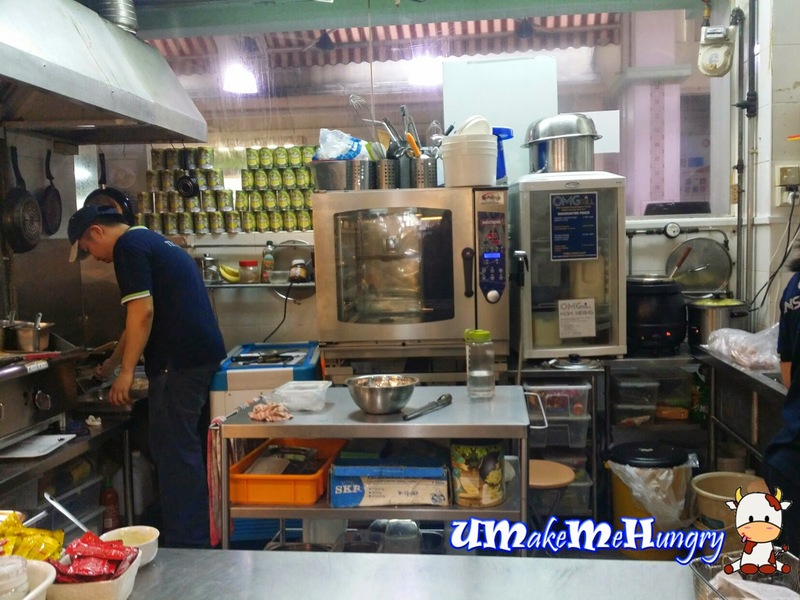 The one who is behind all those cooking is actually the winner of Singapore first ever reality cooking competition, Wokstars (2014). 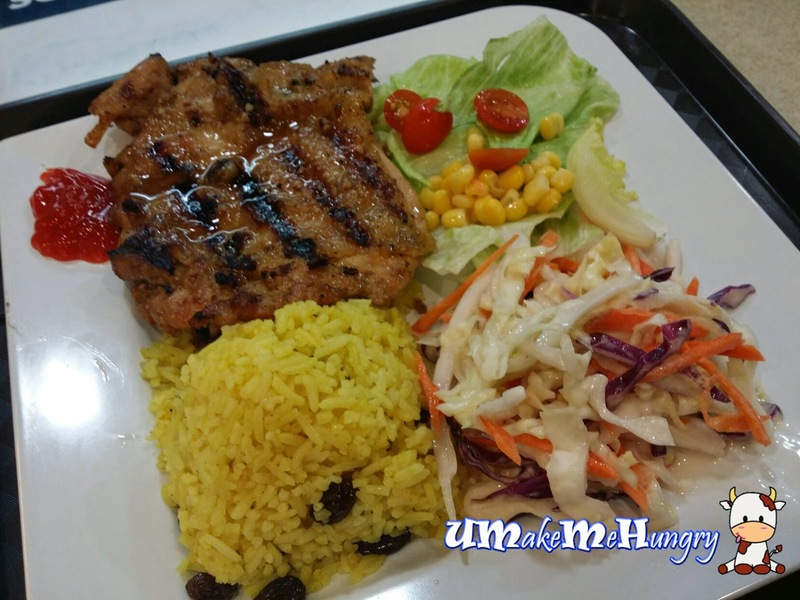 The menu showcase a variety of comfort western food with its available main courses and sides. The default main course comes with baside sides, fragrant buttered rice, garden salad and hand cut coleslaw. However if you would like to "upgrade" the sides to Premium sides as indicated in the menu, a top up fee is available at $0.50 per side. 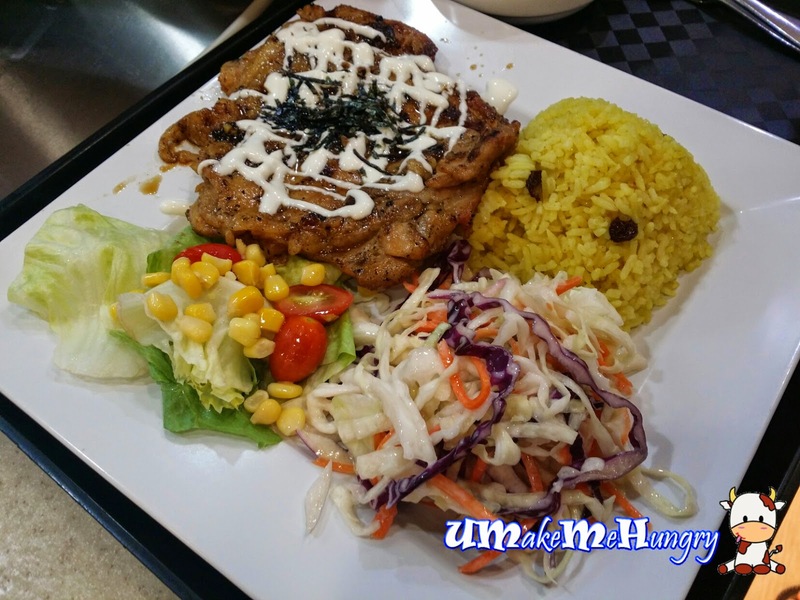 The conventional western menu was made interesting here with added items like Indonesian Chicken Chop, Japanese Chicken Chop and Pan Seared Salmon steak. Such combination marries the traditional flavors of western food with modern ones and I bet it will attract more of us as we learnt that having western is no longer that boring. was present during my visit. He was friendly and approachable, likewise for his girlfriend Jia Ying. I find it rather cute for them to have their designation printed on their back of the polo tee with "Grilled Inspector" & "Grilled Scientist". Having ordered the original chicken chop for $5.50, I would say its definitely worth what one is paying for. 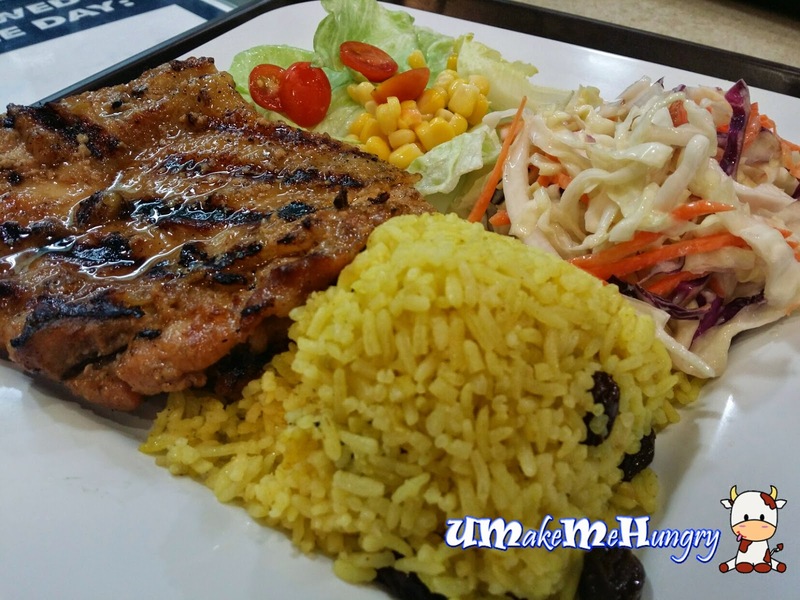 The slab of chicken chop was grilled to perfection with charred lines on its crispy skin and its meat was fully pack of juice! Slurps! The butter rice came in a pyramid shape unlike the normal round shape from the bowl. Though the butter taste from the rice was not that distinctive, it was fluffy with raisins added among the yellow grains. The coleslaw was chilled and good enough while the garden salad was make up of cherry tomatoes, corn kernels and lettuce. 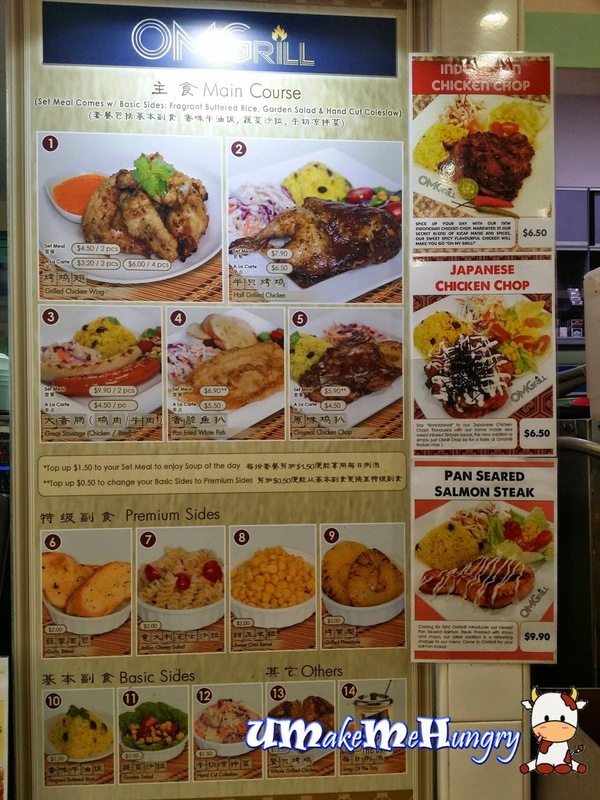 I felt that the Japanese chicken chop was an "upgraded" version from the original chicken chop. The only slight differences was that the chicken chop had some mayonnaise squeezed on it with seaweed flakes sprinkled. 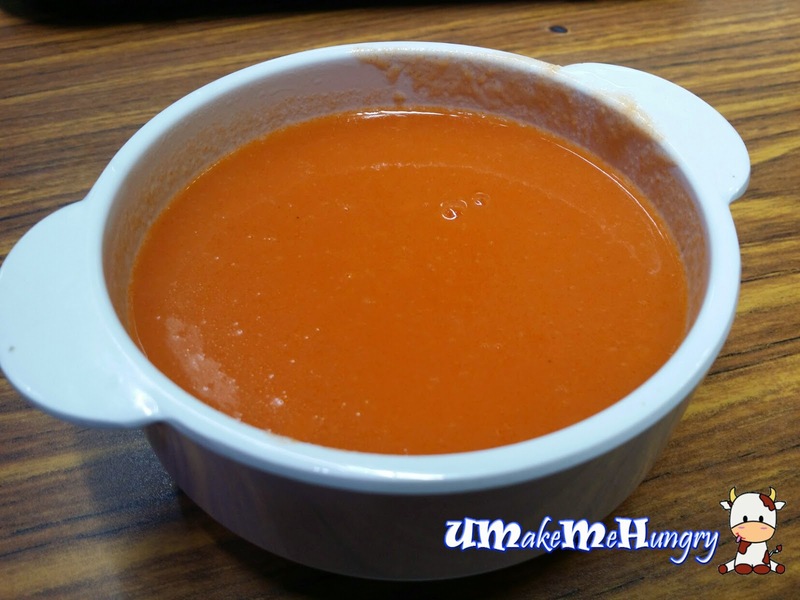 For those who wishes to make a complete meal, they can top up $1.50 for the soup of the day. Overall, I find that the standards were slightly better than average. It seems like I'm being spoilt for choices in Happy Hawkers now for they have so many good food around.